I was really excited about the beginning of baseball’s second season, today! I awoke this morning with the suggestion of a smile upon my lips. The anticipation of new things in my life. All things that were old had passed! Most notably, the dismay and melancholy I’d begun to feel daily were gone! It was a new day! 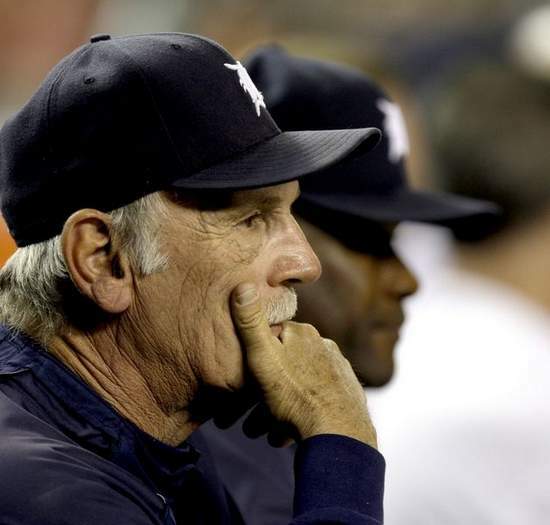 an interview with Tigers manager, Jim Leyland. He was discussing what should have been and everything that wasn’t – about the 2008 Detroit Tigers. Jim Leyland wasn’t given a contract extension. He’s not happy about that. OK! I see that. But, he’s as much to blame for this team ending up in last place, just as much as the players themselves are. He has had a frustrating season! He goes on to say during the interview that he accepts responsibilty for the 74 – 88 last place finish. It sure seems like he’s putting a lot of others out there on the ol’ barby! Obviously, there were performance issues. There were even rumors of clubhouse issues through-out the year. There was indecisiveness about who was gonna play first/third/catch, etc. Who would bat and in what order… and, of course, there were the injuries. Injuries to Granderson, Bonderman, Zumaya, and Rodney certainly were unexpected and didn’t help us. But, we have to stop criticizing and start looking for solutions to the problem. It’s possible comments like this might fire them up — get ’em going — during the season. But, right now – today – they just sound bad! It makes me think that there’s much more going on here. That saddens me! Here’s how I think things are going to shape up in the divisional series… and, just so you know, every year I’m wrong! Yep! The Phillies will win their series with the Brewers in 4! The Dodgers will win over the Cubs. This one will go 5 games! The Angels will beat Boston. I see a sweep here! Chicago edges out the Rays in 5. This entry was posted in Dailies and tagged Jim Leyland, Playoffs, Predictions. Bookmark the permalink. 2 Responses to Can’t We Just Get Along? Interesting post about Leyland. He doesn’t sound too happy. I always thought he was a terrific manager but I haven’t seen him day to day……You really think the Angels will sweep the Red Sox? I like it, being a Yankee fan, but it’s an awfully bold prediction! Thanks for looking in! I appreciate it!